Biblical Way of the Cross: Station 10 : Reform worship. Take 1 or 2 minutes to silently reflect upon the image above. 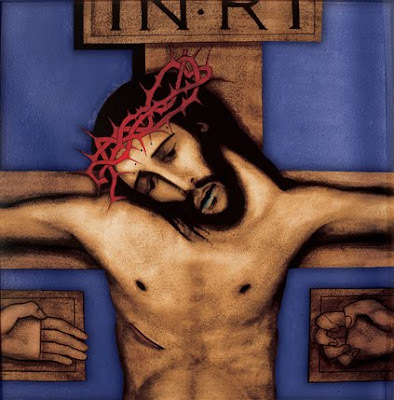 Jesus, your suffering continues as nails are driven into your hands and feet and taunting jeers are hurled at your body imprisoned on the cross. Yet to those who mock and challenge you, you offer no reproach, only forgiveness and compassion for them in their ignorance. O Jesus, how often we have acted as if the way of the cross were unnecessary and too difficult. We believe we know a better way, a way worn down by the crowd. We find that path goes nowhere. Forgive us; we do not know what we are doing. We love you, Jesus; by your wounds heal us.